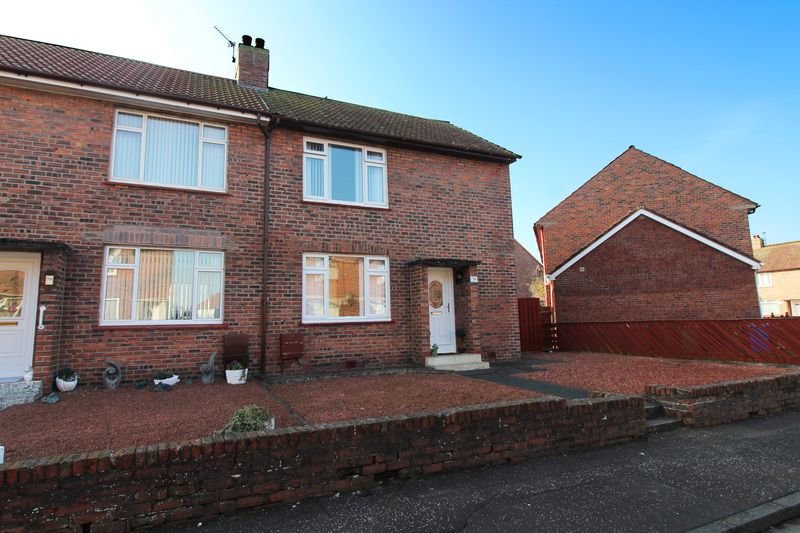 74 Glencairn Road, Ayr, KA7 3HW. 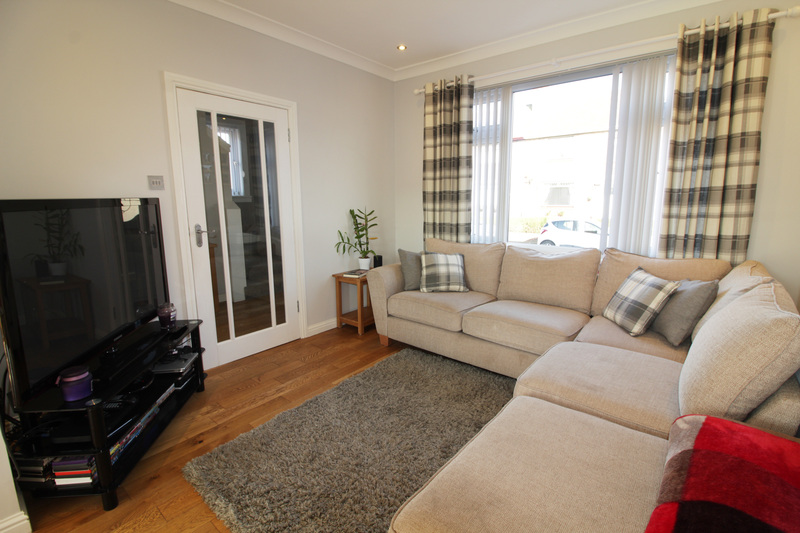 Hoppers Estate Agency are delighted to market this immaculately presented 2 bedroom end terrace villa in Ayr. 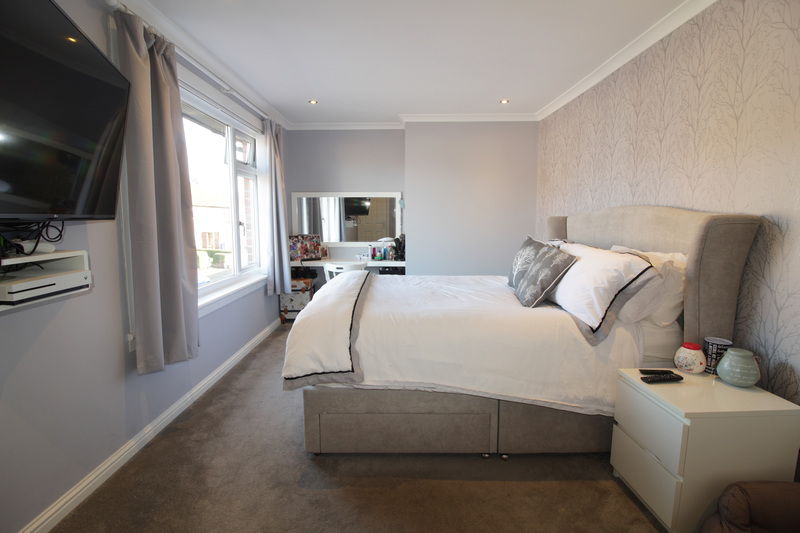 The property comprises lounge-diner, kitchen, 2 double bedrooms and bathroom. A well as front garden and large south facing rear garden. With GCH and double glazing. The interior of the property is beautifully presented; the current owners have refurbished and maintained the property to a high standard. With recently new windows & doors, light fittings, modern fitted kitchen, bathroom suite and décor throughout, the property is in true walk-in condition and viewings are highly recommended. 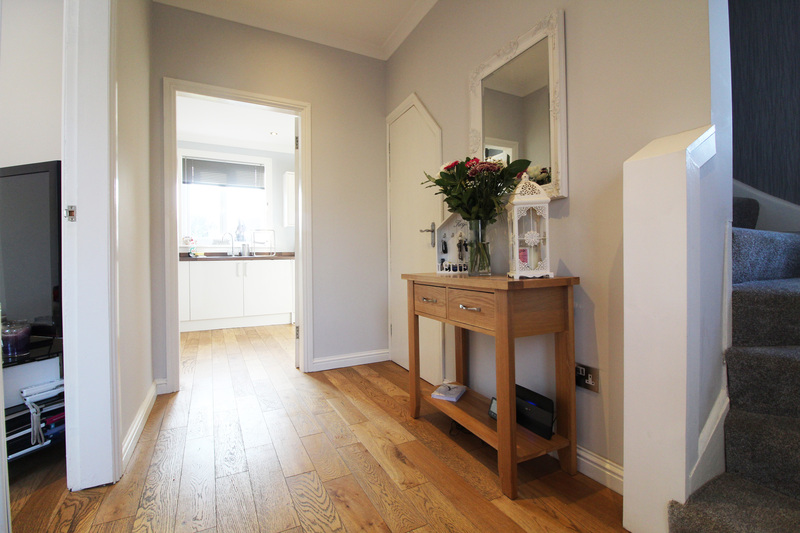 A welcoming hallway with under stair storage leads to the kitchen at the rear; the kitchen is spacious and bright, overlooking the rear garden. 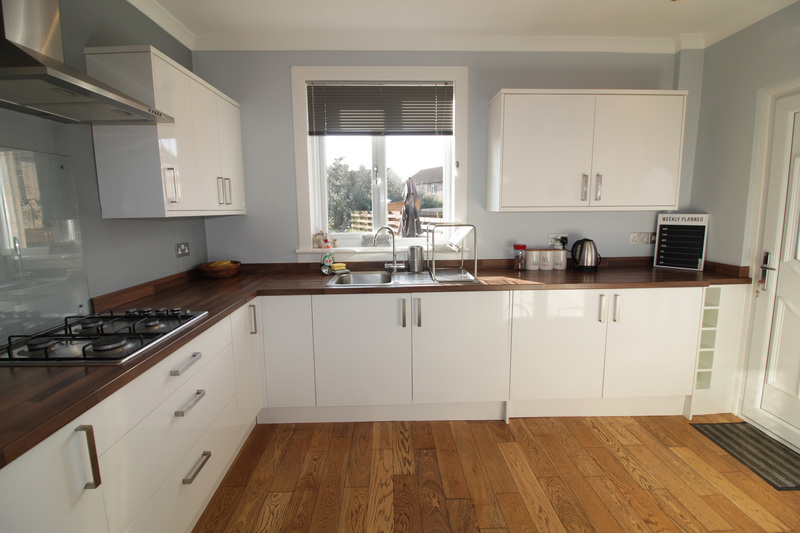 With new fully fitted kitchen, with high gloss L-shaped wall and base units providing a good amount of storage and worktop space, as well as integrated washing-machine, fridge freezer, oven, hob and microwave. 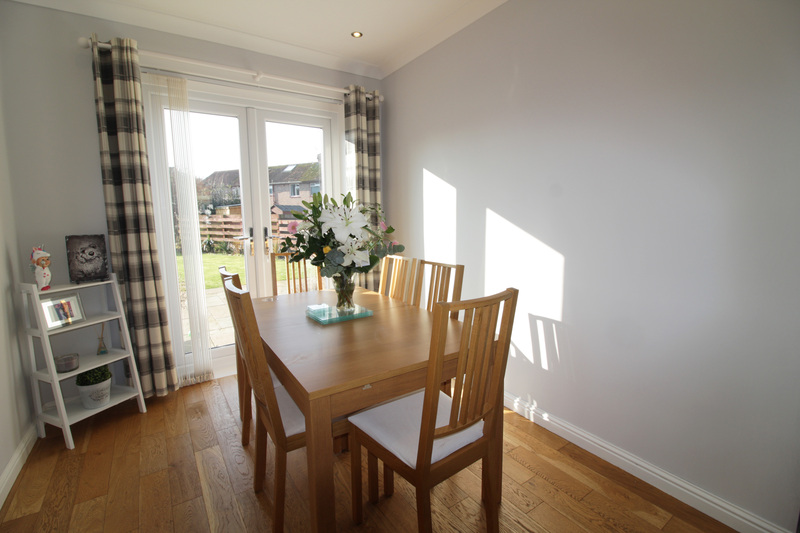 Next to this lies the lounge-dining room; wooden flooring and neutral décor throughout create a bright and flexible space. 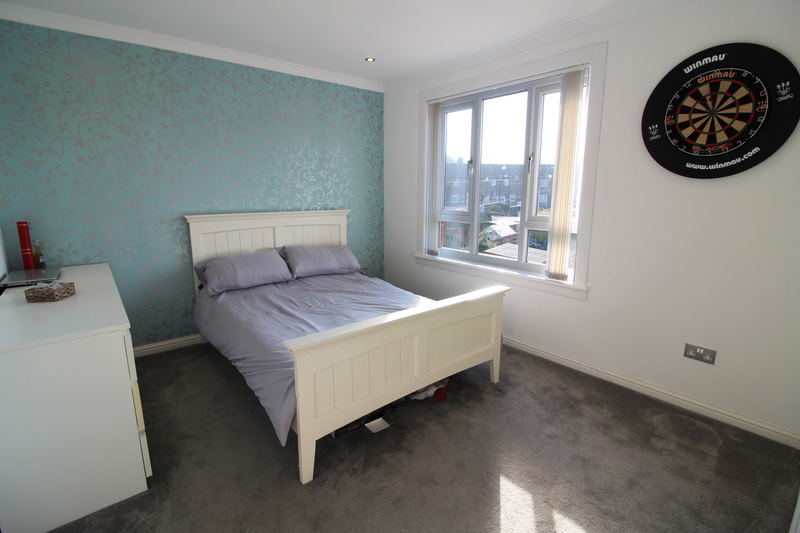 The room benefits from dual aspects with double glass doors out to the sunny rear garden. 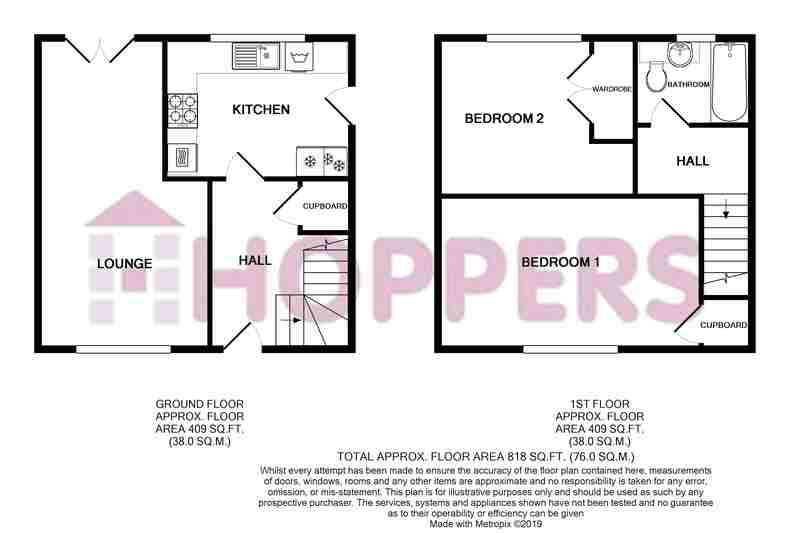 On the upper floor are 2 well proportioned double bedrooms; both spacious and bright, with fitted carpets and neutral décor. Bedroom 1 faces the front, and contains storage cupboard, and bedroom 2, which is rear facing, contains a fitted wardrobe. 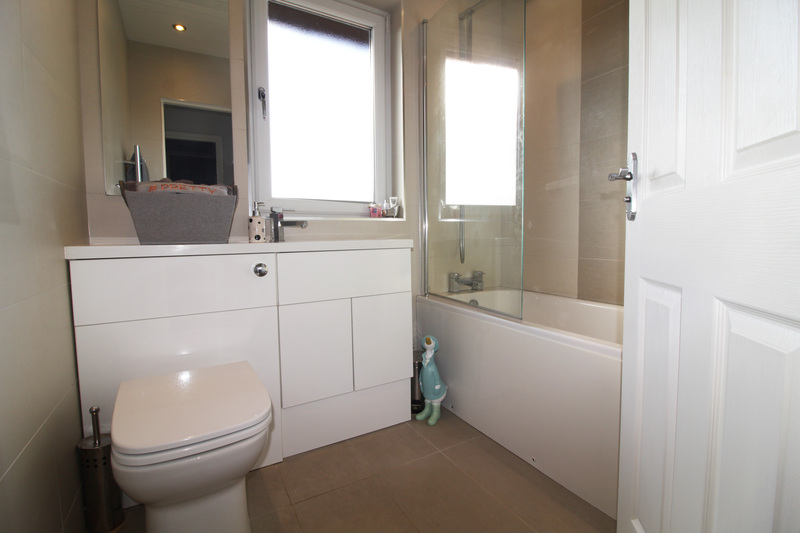 The family bathroom is modern, with white suite comprising toilet and wash-hand basin n vanity unit and bath with shower above. 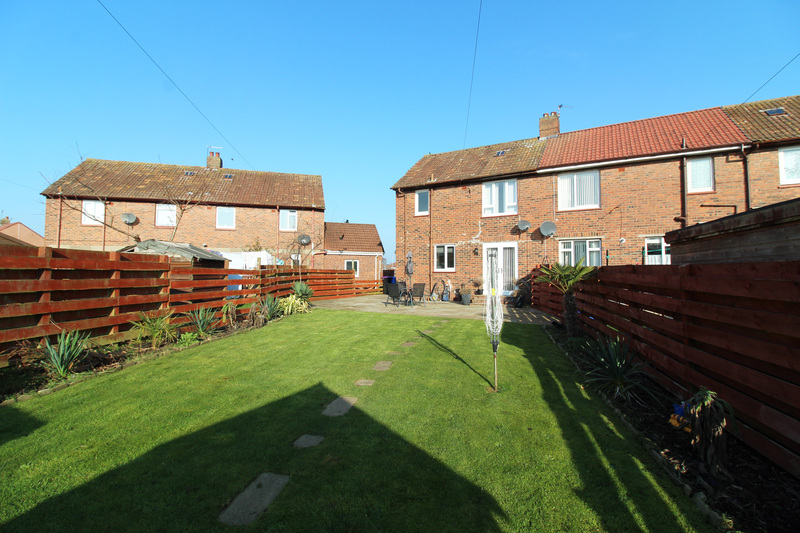 The property boasts both front and rear gardens. 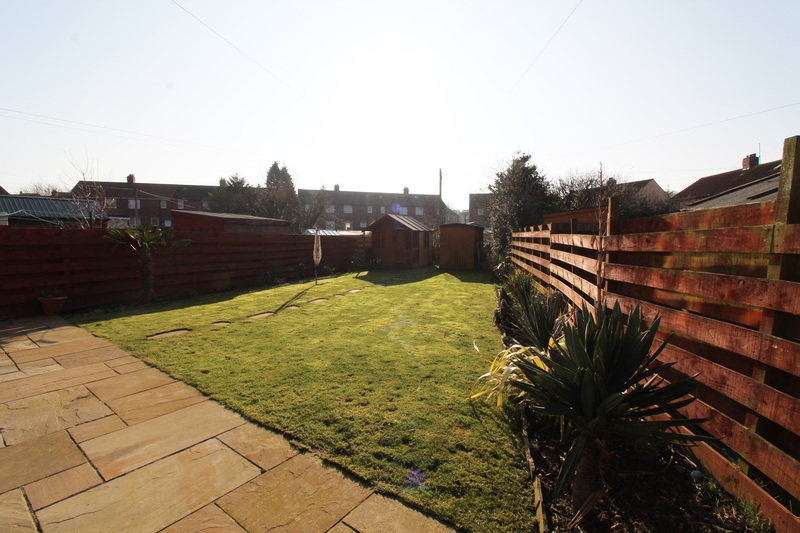 The front of the property is low maintenance in it's current condition, and has the potential to develop or landscape. 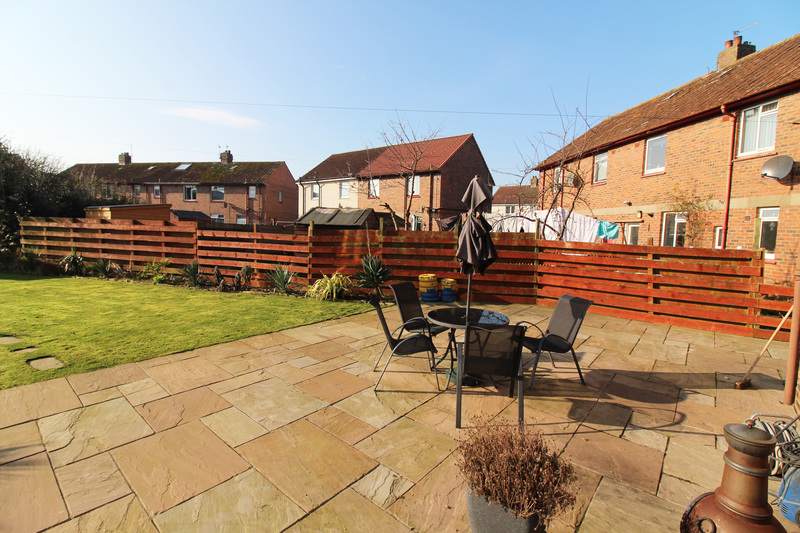 The sunny South facing rear garden is fully enclosed and well presented, with a large neat lawn, garden shed and newly slabbed patio area ideal for outdoor dining or entertaining. Lounge: 11'11 (narrowing to 8'4) x 20'2 approx.